Gala Fairydean Rovers exited the Football Nation Cup in an incredible 12-goal tie at Netherdale 3G Arena last night. 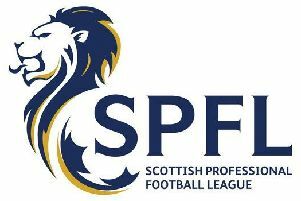 Despite being 5-2 down at one stage, and later reduced to 10 men, battling Gala fought back to force extra time, before finally succumbing to East of Scotland League high fliers Lothian Thistle HV. It was a brave effort by Stevie Noble’s men, who were missing a number of regulars, including Hibernian loanees Adam Watson and Jamie Gullan. Noble added: “We were 4-1 and 5-2 down in the second half but we showed real grit to fight back. We were aiming for penalty kicks in extra time but we just couldn’t hold out against a very good team. There was no indication what lay ahead in this cup tie when Gavin Brown opened the scoring with a sweet half-volley finish on six minutes. Jamie Devlin equalised on 31 minutes and then added a brilliant header to put the visitors ahead four minutes before the break. And when Sean Wringe chipped Lewis Muir to make it 3-1 on the verge of half time, it looked like Lothian were going to runaway with this game. At the same night as Nottingham Forest’s Jason Cummings was helping put Newcastle United out of the English League Cup, with two goals, his brother Dean appeared to be doing the same to Gala, when he scored from close range for Lothian right after the interval. Stuart Noble scrambled in Gala’s second but Thistle came back again as Louis Swanson converted a spot kick after Wringe was fouled. This crazy game took another turn as Gavin Brown headed in Sean Paliczka’s cross to make it 5-3. Darren Smith was then sent off for a second booking by referee Craig Ferguson, despite strong appeals by Gala that they should have been given a free kick seconds beforehand for a foul on Noble. Lothian were now dominating the game entirely and only on-loan Rangers goalkeeper Muir kept Gala from an embarrassing loss with a number of great saves. But new Gala signing Scott then intervened. The former Selkirk striker firstly fired past Kevin Swain with four minutes to go, then equalised with a looping header to send Gala’s players and support wild. The homesters tried to hang on in extra time but, seconds from half time, a tiring Scott Main miskicked a clearance and Devlin raced through to complete his treble. Thistle sub Ryan Hutchison finally sealed the win in the second period of extra time to finish off Gala’s valiant resistance. Gala Fairydean Rovers: L. Muir, L. Stephen, B. Miller, S. Main, S. Guiney (G. Windram 50), D. Bonnar, D. Smith, G. Brown (K. Scott 63), S. Noble, D. Brown, S. Paliczka (K. Ainslie 117).